General Motors Europe's Opel and Vauxhall brands took a while, some rebadged Korean interlopers excepted, to get into SUVs so this year, comparatively speaking, they're going nuts. On top of the freshened Mokka, now appended with an X, comes the Crossland (plus X) and, soon, the Grandland (plus X). Crossland is 4.21m long (Mokka X is 4.28) and a full 16cm shorter than the Astra hatchback so it should be a nippy little thing. People often buy SUVs for the higher seating position and this new one is 10cm taller than the the Astra. GME has painted a target around rivals such as the Renault Captur and just-updated Peugeot 2008 while pointing Mokka at the Nissan Juke and Skoda Yeti. GM claims 410 litres of load space with the rear seats up and, while a 180-degree panoramic rear-view camera, advanced park assist, forward collision alert with pedestrian detection and autonomous emergency braking, lane departure warning, speed sign recognition and side blind-spot alert, among other features are no longer a novelty, availability is worth having. The brands also toss in OnStar, IntelliLink infotainment systems, compatible with Apple CarPlay and Android Auto, an up to eight-inch colour touchscreen and a nice choice of petrol and diesel engines, manual and proper torque converter automatic transmissions. Powertrain details come later. Wireless inductive charging is also available and the OnStar provides a Wi-Fi hotspot for up to seven devices. Mokka has found more than 120,000 buyers in the UK, its single biggest market in Europe. Crossland arrives next summer as the first part of Opel/Vauxhall's 'Five-Star' 2017, which will see five major product launches in just one year. Interior flexibility is aided by sliding rear seats with 150mm range. Cramp the kids and luggage space rises 520 litres. Leave 'em behind and fold the 60/40 split pews and luggage capacity increases to 1,255 litres. The most intriguing thing about Crossland, which will not be shouted from the rooftops at launch, is that it's a collaboration with PSA (GME has previously worked with Fiat on predecessor models). According to just-auto.com's PLDB database, it's a product of the 'joint multi-purpose vehicle programme for the small car segment for Opel/Vauxhall and the Citroën brand' which PSA and General Motors announced in October 2012. 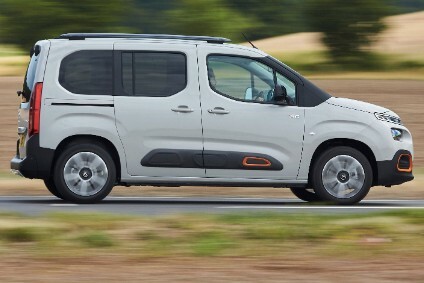 The Citroen is the follow-up to the C3 Picasso. 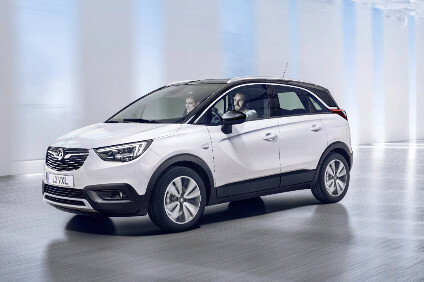 In January 2013, Opel-Vauxhall announced that a PSA platform would be used for its next 'B-segment MPV', meaning the Meriva replacement. 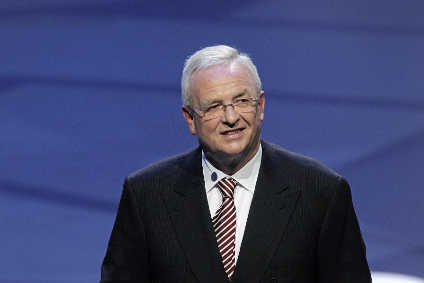 The 24 January statement added that "GM will lead the development of B-segment multi-purpose vehicles for both groups". In September 2013, PSA stated that B-MPVs from both companies would be built in the GM España plant in Zaragoza (Figuerelas). An Opel team in Rüsselsheim leads the engineering execution of the joint project while PSA Peugeot Citroën will supply powertrains for all applications. Nothing wrong with any of that. GM is well versed in LCV JVs and both PSA and GME do a good job on attractive small car designs and powertrains. Sharing development speeds models to market, sharing production keeps costs down, sharing powertrains brings economies of scale. And most customers will have no idea of the collaboration at all. LHD cars will be in showrooms in May, with RHD Opels and the Vauxhall versions following a month later.